involves a high degree of risk, including the risk of losing you hard earned money. Besides the ones that were lucky enough to have bought Bitcoin a couple of years back and cashed in in the end of 2017, most people don’t get rich overnight. This is on a large scale, what a lot of people do not know is that there is a foreign exchange market - or 'Forex' for short – or "FX" for even shorter, where you can potentially make a profit from the movement of these currencies. if you were to put ALL of the world's equity and futures markets together, their combined trading volume would still only equal a 25% of the daily Forex market. Insane right? Most Brokers don't charge commissions – you pay only the bid/ask spreads. There's 24hour trading – you decide when to trade and how to trade. The mechanics of a trade are virtually identical to those in other markets. The only difference is that you're buying one currency and selling another at the same time. 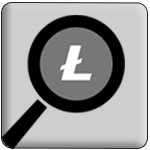 Next articleWhat Is the Best Litecoin Mining Hardware in 2018?